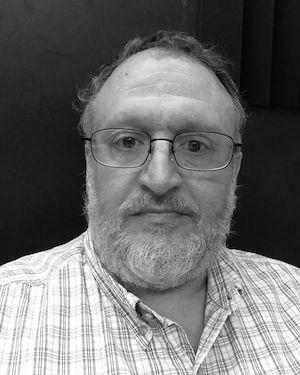 Joe Pino has been designing sound since 1981 and teaching at the Carnegie Mellon University School Of Drama since 1999. He has created soundscores for hundreds of productions in resident theaters across the United States. He is currently the head of the OISTAT (Organisation Internationale des Scénographes Techniciens et Archectes de Théâtre) Sound Design Group, a working project of international sound designers dedicated to collaborating, sharing and mentoring using their shared resources and experience. Noteworthy designs include Danton’s Death (dir. Robert Wilson), Hydriotaphia (dir. Michael Wilson), American Vaudeville (dir Anne Bogart), Antony and Cleopatra (dir. Vanessa Redgrave), and After the Fall (dir. Gregory Boyd). Pino assisted sound artist Hans Peter Kuhn on the design of Robert Wilson’s Hamlet, also mixing the show on the the subsequent tours to Paris, Venice and New York City. In the late 1980s, Pino mixed live sound for jazz artists including Dizzy Gillespie, Sarah Vaughan, Sun Ra, and Michael Hedges. In 2005, he was awarded the Gold Medal in Sound Design at the World Stage Design international exposition in Toronto. He was subsequently invited to curate two exhibitions at the 2007 Prague Quadrennial: a digital exhibit representing international sound designers and a live installation/performance between sound artists in Prague, New York, San Diego, Paris, London, and San Francisco. He curated the 2011 digital sound exhibit for Scenofest at PQ2011 and recently he was chosen to be one of 30 international sound artists to perform at the Sound Kitchen during PQ 2015. Pino is a member of USA-829 and USITT. He holds a B.A. in Theater Arts from Indiana University of Pennsylvania and an M.F.A. in Directing from University of Virginia.